"He Was Brilliant, Polite, Friendly And Did A Great Job"
"Very Fast, Responsive And Polite." "Great Job Done & Very Quick Communication About The Job. 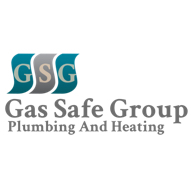 Great Service, Thank You"
"Very Pleasant And Polite And Knew Exactly What They Were Doing"
Need a Plumber or Heating Engineer in Watford?